There's something refreshing about not being asked to save the world. I mean, don't worry. 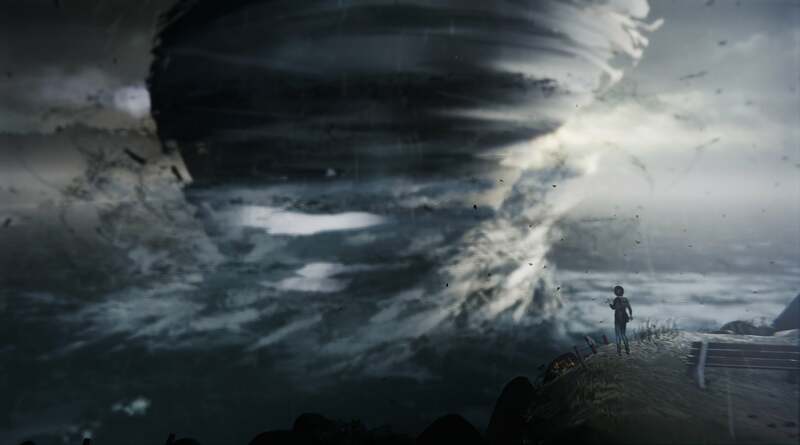 Life is Strange, the new adventure game from Dontnod Entertainment (Remember Me), gets around to the whole "save the world" thing eventually. Well, "save the town," at least. There's a storm coming. Literally. But much of what makes the first episode of Life is Strange so endearing is that the stakes are low. 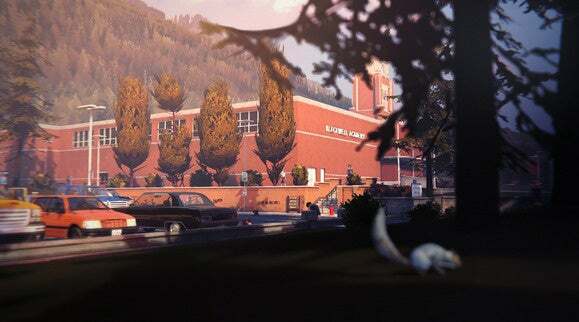 You play as Maxine "Max" Caulfield, a teenage girl living in the Pacific Northwest. As such, your problems are, well, teenage girl problems for the most part. Will I retain my scholarship to the elite photography academy I'm attending? Will my teacher find out I kind of have a crush on him? Will I submit something to this photo contest he wants me to enter? Will I get caught smoking pot? Unlike us normal people, Max has some help navigating life, though. 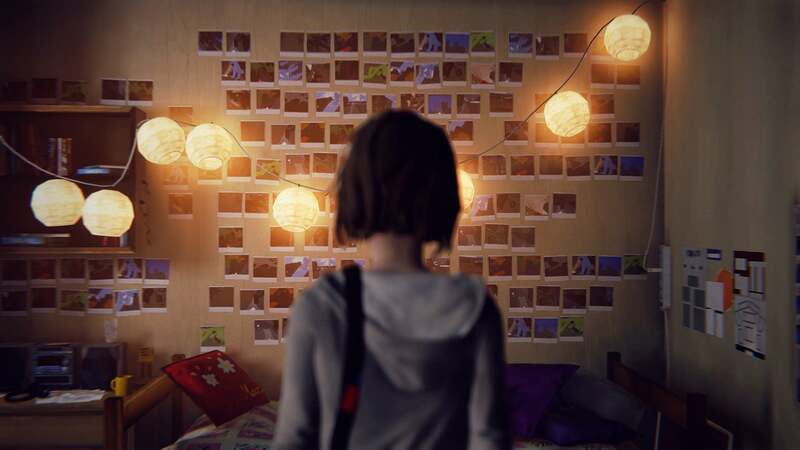 When Life is Strange starts, she realizes she can actually rewind time (for whatever reason). She stays in the same place, retaining any knowledge gained and any items she's carrying. Everyone else rewinds to an earlier position. There are some weird implications to this—What does someone think if they were standing, looking at Max, and then suddenly she just disappears? Like any time travel story short of Primer, it's best to just ignore those concerns and roll with it though. As a player, Max's new ability is used for a bit of light puzzle-solving, but mostly as a twist on the "[Blank] will remember that" choice-making in Telltale's adventure games. Now you can make a decision, see what the short-term consequences are, rewind, make the other decision, see it play out, and repeat ad nauseam. Your decision is only locked when you leave the area. Life is Strange uses this to screw with you. We were given a primer on some upcoming scenarios in Episode 2, so I know a bit about how certain choices will play out later. Suffice it to say, the short-term consequences don't always reflect the long-term consequences. You might think you've done the "right thing," but that choice may come back to haunt you later. But again, these choices are so mundane. And I don't mean that in a bad way. It's refreshing to play a game where "Do I take the fall for my friend's pot habit?" is a world-ending scenario in and of itself—where characters are concerned more with "slice of life" issues than our typical "slice some throats" power-fantasy. I got sick of comparing things to Juno a long time ago, but Life is Strange clearly fits into the same bucket: Small-town girl with teenage girl issues, handwritten aesthetic, indie folk soundtrack. It's like if Telltale made a Juno game, sort of. And like Juno, Life is Strange has some issues. Most of the writing is strong, but it occasionally veers into cringe-inducing territory. My brain balked at the idea that a seventeen-year-old girl would say some of the lines in this game. Slang grounds characters in a certain time and place, but only if you get the slang right. Life is Strange doesn't always get it right, and there are moments where Max turns into Steve Buscemi holding a skateboard and asking "How do you do, fellow kids?" But for the most part Dontnod has created a convincing teenage girl with convincing teenage girl problems. If that doesn't interest you, that's fine. Not every game is for everyone. Me? I enjoyed the first episode of Life is Strange and finished it looking forward to more. It reminded me a lot of the first episode of Dreamfall: Chapters, which is similarly slow and low-key (although as part of the Longest Journey saga we know Dreamfall will inevitably head towards some sort of world-saving conclusion). The soundtrack also deserves a nod. In fact, when the credits rolled on Episode One the first thing I wanted to know was "Who did the music?" It's apparently a mix of score (done by French musician Jonathan Morali) and licensed tracks by some fairly big names like Jose Gonzalez et al. In other words, if you like quiet indie-folk, you'll be in heaven here. 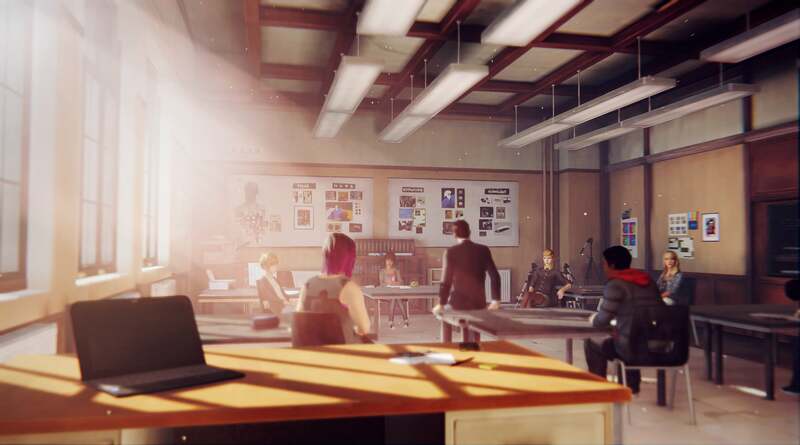 There's still plenty of time for Life is Strange to go off the rails. I'm not sure I'm ready for this subdued story about a teenage girl's problems to turn into the world-ending whatever-the-hell it's clearly aiming for in the prologue section. The "world-ending whatever-the-hell" in question. 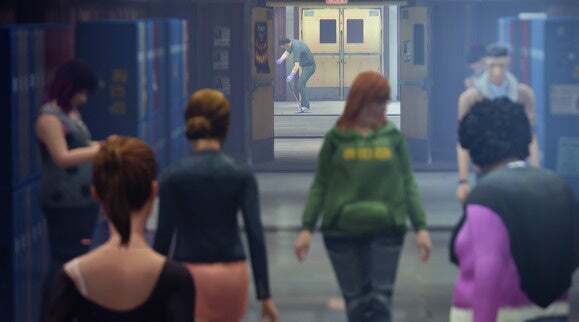 I like the game best when it's not doing that stuff—when it's just Max going about her day, trying to navigate between different cliques and get her homework done and meet up with some boy and stuff. That's when Life is Strange is (in my opinion) at its best, in part because it's so different. We'll see how it develops though. For now, if you like that whole quirky indie scene—Juno, 500 Days of Summer, Away We Go, et cetera—you'll probably enjoy this. Or if you're just a fan of Telltale games like The Walking Dead or The Wolf Among Us and want something Telltale-esque, but less fantastical. Note: PCWorld doesn't score episodic games until they're complete. We'll get back around to Life is Strange when Episode 5 releases and we can summarize the game as a whole.